This story from csoonline.com calls out a revealing story that security researchers have released one of the most powerful and sophisticated spyware tools that enables hackers to remotely control infected devices. 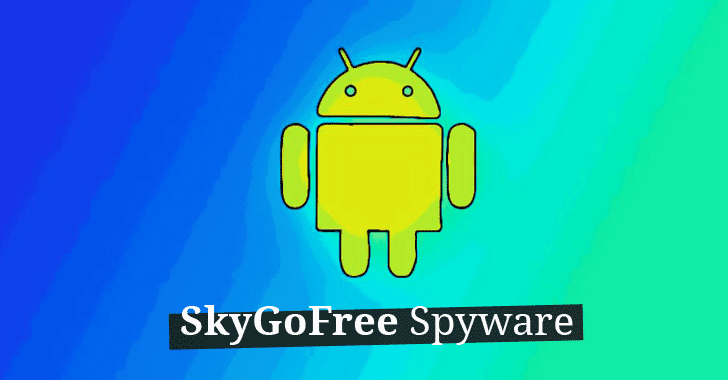 Android spyware, known as Skygofree, was designed for targeted monitoring and is believed to have targeted a large number of users for the past four years. As of last October, Skygofree became a sophisticated multi-phased spyware tool that allowed attackers to take full advantage of remote shell payload and command and control (C & C) server architectures to fully control infected devices. According to the technical details released by the researchers, Skygofree includes multiple exploits to enhance root access, giving it the ability to perform the most complex payloads on infected Android devices. One such payload allows the implant to execute a shellcode and steal data belonging to other applications installed on the target device, including Facebook, WhatsApp, Line and Viber. The researchers said: “There are a number of special features: using multiple attacks to gain root privileges, complex payload structures, and monitoring capabilities never before seen. Skygofree’s Control (C & C) server also allows attackers to remotely capture images and videos, capture call logs and text messages, and monitor users’ geolocation, calendar events, and any information stored in the device’s memory. In addition, Skygofree also enables man-in-the-middle attacks by recording audio through microphones while the infected device is in a specific location and forcing the infected device to connect to a threatened Wi-Fi network controlled by an attacker. Kaspersky discovered several Italian equipment that infected Skygofree, claiming it to be one of the most powerful and advanced mobile implants ever. Although the security company did not confirm the name of the Italian company behind the spyware, it found several references to the Roman technology company “Negg” in the spyware code. Negg also specializes in the development and trading of legitimate hacking tools. The best way to prevent yourself from becoming a victim is to avoid downloading the application through a third-party website, an app store, or a link provided via SMS or email. The “social” command allows files from any other installed app to be captured. Kaspersky gives examples of how it steals Facebook data, Facebook messenger, WhatsApp, Viber and LINE for free calls and messages. The payload targeting WhatsApp messenger uses the Android Accessibility Service to grab WhatsApp text messages. The Android implant has a camera command that is triggered to record video or capture a photo when the device is unlocked. It includes other spyware capabilities such as grabbing call records, text messages, tracking location, snatching calendar events, recording surrounding audio and snagging other information stored on the device; there’s also a command to create a new Wi-Fi connection to connect to the attackers’ network. In this post, I’ll show you that the malware was first found by the security researcher at ESET Lukas Stefanko and the first detailed analysis of the spyware (titled “Malware Analysis Report: Fake 3MobileUpdater“) was published by the experts at the CSE Cybsec ZLab. According to Kaspersky, Skygofree has being distributed through fake web pages mimicking leading mobile network operators. The attackers registered some of the domains used in the attack since 2015. The most recently observed domain was registered on October 31, 2017, according to Kaspersky data the malicious code was used against several infected individuals, exclusively in Italy. Malware authors are using HTTP, XMPP, binary SMS, and FirebaseCloudMessaging protocols to control this malware. Its uses around 48 different commands in a code to perform various malicious operations some of following. geofence – used for record surrounding audio. According to Kaspersky labs, this Android spyware implant developed with various stages and added many futures in each and every version. The attacker also using reverse shell module that helps to connect to the command & control server. Researchers also find an important payload binary that is capable of exploiting several known vulnerabilities and this payload binary added in 2016 according to the timestamp. Once this malware download and unpacking, then it exploiting the some of dangerous known vulnerabilities and module attempts to get root privileges on the device. Skygofree using social payload to other installed social media applications such as facebook messenger, whatsup, viber, and Line. Exceptional publish from specialist also it will probably be a great know how to me and thanks very significantly for posting this useful data with us all.